If you read this blog and receive my email updates you know how committed I am to teaching professionals about LinkedIn why and how to develop a LinkedIn strategy. Regardless of your WHY, it is critical to understand that you need to build trust and this article will show you how your LinkedIn content strategy builds trust and drives leads. 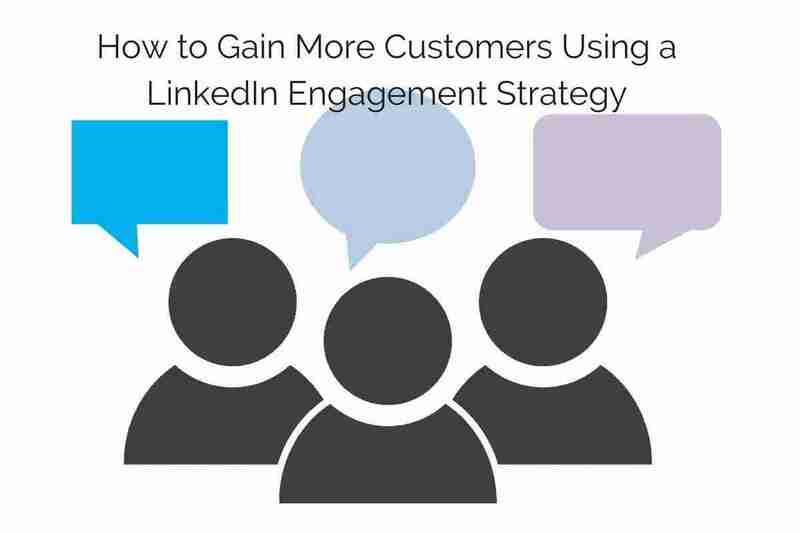 If you are like the average user, you use LinkedIn to make new connections for a purpose and usually that is to either drive leads or find a new job, or to successsfully generate LinkedIn leads. Think about the last time you made a significant purchase, let’s say a marketing coaching program. You did the research before making a decision which included the results you wanted to gain from the investment in the program, but most importantly who you wanted to buy the program from. Most of us make the decision to buy when we have enough information about the product or service. That information could be from a blog post, article in an industry publication, or a recommendation on a LinkedIn profile. YES, recommendations and product reviews are a big part of the buying decision. But before we go there, let’s talk about why people have bought from you in the past. Do you Know why your Customers Buy from you? – Ask how did you solve their problem? – What specific results have they gotten working or buying from you? – What do you do better than the competition? – Would they buy from you again? – Would they refer you, if so ask how they would make the referral? The questions you ask will help you create the ideal customer persona. It is a description of what your ideal client looks like. Think of your ideal customer as someone with informational needs and your content should answer all their questions in all phases of the buying cycle. In other words, you want to be the ‘go to’ person they come to rely on for information. By understanding exactly who your most ideal customer is you will now be able to perform searches on LinkedIn that are more targeted, no more connecting with everyone hoping someone will be a good fit for you. The sooner we understand that ‘everyone is not our customer’ the more focused on the ones who are ideal become. Once you have identified the idea customer persona, you want to use the LinkedIn advance search feature. You want to utilize as many of the search criteria as possible to locate possible connections. This includes: keywords, title, company name, industry and location. Step 1 is to decide what business goals your content is supporting. A well-developed content strategy can drive sales, increase your brand awareness, build trust with customers and prospects alike and show you as a thought leader in your niche. So now that you are clear on the persona of your ideal customer and you know what problems you solve and why people do business with you the next step is to stay top of mind by sharing great content that delivers on-going value to your audience. What is your Brand Story? How will you deliver content that differentiates you and lets the audience know your value proposition? This is defining what you are known for. Share your content in the tone of your brand. If your brand is humorous and you use lots of analogies and funny jargon than that’s how you want to continue to deliver your content. Do you have a tagline or slogan you are known for? Than you want to incorporate that theme into your content. 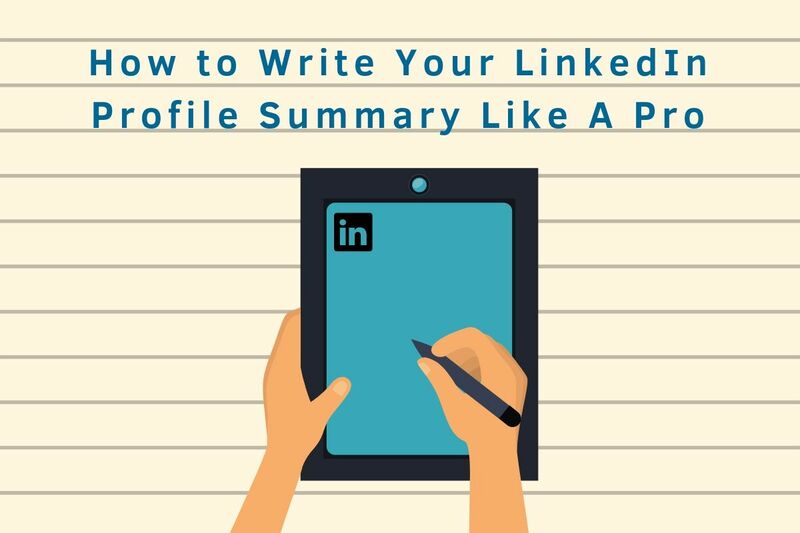 Why is Your story on LinkedIn important? Why is your content important to your ideal audience? Remember it is about them, not about you. If you target audience the President of a small business of under 5 million dollars and under 25 employees, what is important to them? Be specific with your answer and you will know what content they will want more of. What Types of Content can you Share on LinkedIn? Sharing your blog posts in a status update and to your LinkedIn company page if you have one is an ideal place to start. In addition, if you have produced video content you can share that along with your personal reason for sharing it. In other words, let people know what they can expect by taking a moment to read or watch your content. When posting a blog post from your website, by adding the URL from the website it pulls a thumb nail image from the article and places it in the left corner with a sentence or two from the beginning of the article. If you want your article to stand out, I recommend you Tips for creating great images to use on LinkedIn to go with the blog post. It does require an extra step by creating an image that is 550 x 375 which will now make your post stand out in the news feed. You will need to remove the thumb nail image by clicking the ‘x’ in the right corner once you have added the url removing it, then use the ‘upload a photo image’ in the right corner of the status update box to upload your new image. You can to rise above the competition? You will incorporate this step into your strategy. Utilizing your own profile to publish content can be a great addition to your company strategy. Depending on the size of your company I encourage leadership to take an active role in publishing content. Take into consideration your overall brand strategy and write content for your appropriate audiences. I recommend article length around 500-600 words. Choose a great image and headline that will attract readers. Write short paragraphs and end with a specific all to action along with an author’s bio. If your content strategy contains a mix of original content and content from other sources, you might make a list of resources that support your brand’s identity and brings credibility when you share it. You might also want to set-up a “Google alert” for your topic, this way Google will email you any new articles that are posted on the internet that you might consider sharing. Don’t post random thoughts or images, rather stay focused on what you are known for. There are all sorts of places to find content worth sharing – it could be industry publications, national publications that add credibility to you such as Forbes. When you read good content I recommend if it is considered evergreen content versus something where timing is relevant than keep a spread sheet with these articles. Posting consistently on LinkedIn keeps you top of mind as a trusted resource. I found some great insights in this article about XYZ and wanted to share it with you. Be sure your recommendations on your LinkedIn profile are up to date. When you start to stand out with your new content you will draw attention and people will want to know more about you. Having a great profile should go without saying. Updating your recommendations will bring an added trust factor to you. With so much importance put on the opinions of others these days, don’t neglect asking for recommendations. To stay on track with your content strategy I recommend you create a calendar or spread sheet. You can use something as simple as a Google document, Excel spreadsheet or a calendar program. LinkedIn content builds trust and drives leads when you have a well- defined strategy and are consistent with publishing and posting it. Help building your LinkedIn content to build online trust and professional LinkedIn services that drive leads. JoAnne Funch, owner of LinkedIn for Business: knows LinkedIn content strategies and how to publish fresh content on LinkedIn. 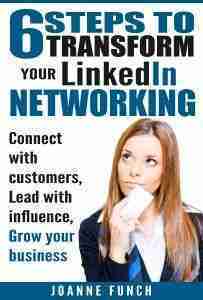 Expert in LinkedIn relationship trust building, gaining LinkedIn leads online, and how to stay current on LinkedIn.